So you want to know how to get a visa to Vietnam? That must mean you’re planning a trip there, which is awesome news! 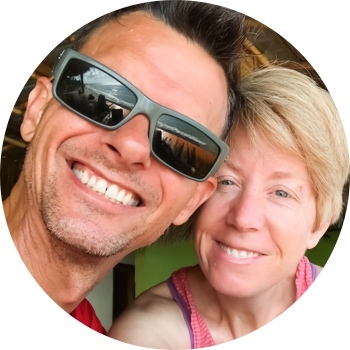 We’ve been to Vietnam a half-dozen times and LOVE it! Read on for help choosing and getting the right Vietnam visa. 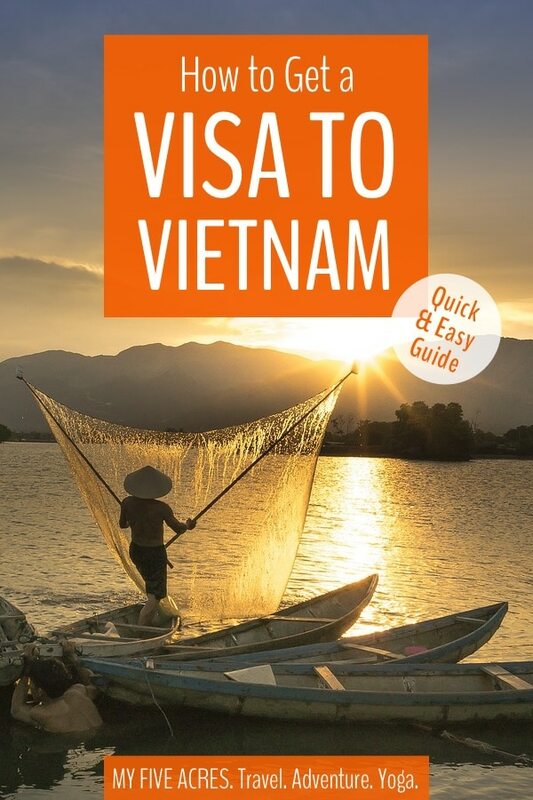 What’s in our guide to getting a Vietnam visa? 1. Which Visa to Vietnam do You Need? 6. Can You Extend Your Vietnam Visa? 8. Do You Need Travel Insurance for Vietnam? When you first start looking into getting a visa for Vietnam, the whole system can seem confusing and unnecessarily complicated. Don’t let the red tape stop you! With its stunning landscapes, buzzing cities, and complex cultural heritage, Vietnam is an amazing place to travel. Getting a visa for Vietnam is so worth it! Plus, getting a Vietnam visa is actually very easy once you have the system figured out. We’ve been to Vietnam half a dozen times in the last couple of years (we just can’t stop going back!) and we know exactly how to get a visa for Vietnam. By the way, this post covers the Vietnam tourism visa. If you need a Vietnam business visa, contact the Vietnamese embassy in your country. This post is frequently updated but things can change quickly. If you notice any out-of-date info in this post, please let us know! Which Visa to Vietnam do you Need? Unless you qualify for the Vietnam visa exemption, then you’re going to need to apply for a Vietnam visa. There are different visas depending on what passport you hold, how long you will stay in Vietnam, and where you are arriving. Find your passport below and then click the link that describes your trip. You’ll jump right to the section about the best visa for your trip. If you want to sample the best of Vietnam — both the food and the culture — without struggling to eat well as a vegan, this Vegan North & Central Vietnam tour is just right. For 10 days you’ll explore Vietnam, visiting the most famous sights, like Hanoi, Halong Bay, and Hoi An. You’ll also get to experience animal-friendly activities, like visiting Animals Asia’s Moon Bear Sanctuary, viewing rare langurs in the wild, and taking a vegan cooking class. Plus, there will be lots of other surprises along the way! It’s all 100% vegan, too! Sign up now to get $500 off (for early birds only). We’re sorry we can’t cover every country and type of trip to Vietnam in this guide (we’re only two people!). This site will help you find more details about the Vietnam visa you need. With the visa exemption, certain passport-holders can travel to Vietnam visa-free for up to 15, 21, or 30 days, depending on where you’re from. Note: Don’t mistake visa exemption for visa on arrival – they are not the same! Who should do visa exempt travel to Vietnam? Don’t want to pre-arrange anything! How much is a Vietnam visa exemption? The visa exemption is free, of course! Sorry, but there is no visa-free travel to Vietnam for the passports listed above. You will need to apply for a visa to Vietnam. Hot tip: Vietnam is an amazing country. You really should stay for longer than 15 days if you can! If you have a passport from Japan or South Korea, you can visit Vietnam visa-free for up to 15 days. If you have a passport from the Philippines, you can visit Vietnam visa-free for up to 21 days. If you have a passport from one of these countries, you can visit Vietnam visa-free for up to 30 days. When you get to the airport in Vietnam, you can go straight to immigration and show them your passport. They may ask to see proof of departure, so have your outgoing flight ticket ready. Limited re-entry. You can’t just hop across the border to Cambodia and then come back as an easy way of extending your visa exemption to Vietnam. You’re not allowed to return within 30 days of departure using visa-free entry. If you plan to stay longer, just apply for the visa on arrival. You’re going to Vietnam! We are so excited for you :). New since 2017, the Vietnam e visa programme is the best option if you are planning to arrive in Vietnam across a land border or by sea. It’s also a good option if you want a 30-day single-entry visa. Who should use the Vietnam e-visa ? Who can get an e-Visa to Vietnam? People from the US, Canada, Australia, New Zealand, most European countries, most South American countries and more are now able to get a visa online for Vietnam. How Much Does the e-Visa cost? How long does it take to get a Vietnam visa online? Note: We’ve heard reports about the e visa system being buggy and photos and applications being rejected on technicalities. So leave extra time in case this happens to you. Where can you enter Vietnam using the e-Visa? You can use the e-Visa at international airports and most of the overland and sea arrival ports. You’ll need to fill out the application form for the Vietnam visa on the official Vietnam visa website. The official government site pages all end in .gov.vn (not govt.vn which is a clever faker). This is what the Vietnam e visa official website looks like. Don’t get fooled by fakes. A digital passport-style photo. Size doesn’t matter since you will upload it on the e-visa application site, but dimensions should be 2:3. 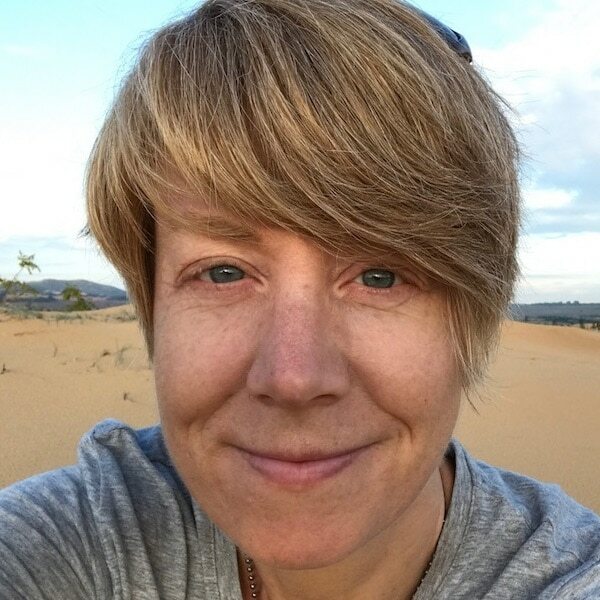 Photo for a Vietnam visa should be a head and shoulders picture taken against a plain background. Don’t wear hats, sunglasses, scarves, etc. Avoid the fake sites. There are lots of fake websites out there trying to trick people into thinking they are applying for the Vietnam e visa. Only use the official Vietnam visa site! Note that the official site’s URLs end in gov.vn (not govt.vn). Leave plenty of time! We have never used the e-Visa system but have heard rumours that the system can be annoyingly buggy. Sometimes the site is down, sometimes payment won’t go through, sometimes photos are rejected. Make sure you apply with plenty of time to try an alternative if the e-system doesn’t work. Don’t forget to print! You need to print your e-visa and bring it to Vietnam with you. The visa on arrival is the most common and most convenient way to get a Vietnam visa. You can get a Vietnam 3-month visa or 30-day visa and it is available for multiple entry or single entry. Getting the visa on arrival is a two-step process. Before you get to Vietnam, you will need to get an Vietnam visa letter. Once you arrive at the airport, you will apply and pay for your visa on arrival. Who should get the Vietnam visa on arrival? What’s the cost of a Vietnam visa on arrival? Though it sounds like a headache, getting a Vietnam visa letter is actually very easy. This might be the hardest part of getting your Vietnam visa on arrival. You need to be a little cautious about who you use, since some sites are scammy or deliver approval letters that get rejected at the airport. 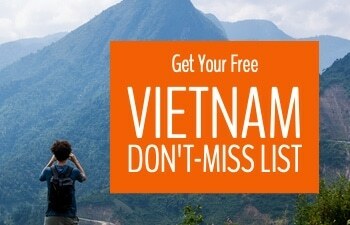 We recommend you check out Vietnam-visa.com. Note: You also need to bring two passport-sized photos (around 4cm x 6cm) to the airport. The fee can be paid online using a credit card. Fees vary from broker to broker, but are usually around $25 for the basic 30-day visa. In a couple of days, the broker will send you an email with your approval letter attached. Print it out and bring it with you to the airport. Choose the right approval letter broker. Use a reputable visa letter broker to avoid being scammed. Don’t forget to print! You need to print your approval letter and bring it to Vietnam with you. Don’t forget your photos! You will need to bring 2 passport photos to the airport with you, size 4cm wide by 6cm tall. If you forget, you can get photos taken at the airport (but avoid the hassle and do it ahead of time). Passport requirements. Your passport must have at least 6 months validity left on it and 2 blank pages. You can change your arrival date. If you arrive in Vietnam later than the arrival date you selected on your approval letter application, that is no problem. Just make sure they give you 30 days from your arrival date on your visa. You can change your port of entry. If you end up flying into a different airport than you selected on your approval letter application, that is no problem. You can use your approval letter at any international airport in Vietnam. Your visa approval letter is not a visa. You will need to get the actual visa at the airport once you get to Vietnam (hence the name “visa on arrival”). 1. Print your visa approval letter and bring it with you. 2. Go to the visa counter when you arrive at the airport (before immigration). At certain times of day, the visa counter can be very busy, so be prepared to wait. Sometimes, we have had to wait for an hour, at other times it has taken 10 minutes. 3. Bring the fee with you in USD. Last time we got our visa at the airport in Hanoi, they would only accept USD, which I did not have. Fortunately, there was an ATM that dispenses USD, before you go through immigration. Last time I was there, people were also paying in Euros and Australian dollars, but the exchange rate wasn’t great. 4. Check the dates before leaving the airport. Once you get your passport back with your visa inside, check to make sure the dates are correct before going through immigration. One time, when we were cycling into Vietnam from China, they only gave us 5 days on our visa. We had to race to Hanoi as fast as we could to get our extension organized! US Citizens have the option of getting a visa on arrival to stay in Vietnam for up to one year. Lucky you! Follow the instructions in the Visa on Arrival section above. When applying for your approval letter, just choose the “one year for US Citizens” option and provide an image of your US Passport. How much does a one-year Vietnam visa cost? With the one-year visa you will need to leave Vietnam every 90 days so they can re-verify your passport. This is a great opportunity to visit Cambodia, Laos, or China! We know you’re going to have a fantastic time in Vietnam. Who should get a visa at a Vietnam embassy? With the new e-visa, visa on arrival, and visa exemption, it’s rare that you would need to arrange a visa for Vietnam at the embassy. But if your trip is unusual or your passport is, you might need to apply ahead of time. How long does it take to get an embassy visa? Processing time really depends on your embassy and how complicated your visa requirements are. Be sure to apply at least a month or more before you depart. Where can you get a Vietnam embassy visa? If there’s an embassy in your hometown, you can visit in person, thereby avoiding the hassle of having to mail your passport. If there is no embassy where you live, you will have to follow the instructions on the embassy website in your country. You will usually have to send your passport, pictures, and application form via mail or courier. If you are a long-term traveller, it is possible to get a visa for Vietnam in countries you are visiting. During our bike trip, we got our Vietnam visa in HK (it took 7 days). You can also apply in major cities in Asia if they have a Vietnamese embassy. European and North American countries tend to be a bit more fussy about this but if you’re stuck for some reason, give it a try! Can you extend your Vietnam visa? With most types of Vietnam visa, you can apply for a visa extension while in the country. This is easiest in Hanoi or Ho Chi Minh city, but you can also apply in Hue and Da Nang. The most efficient way is to find a trusted travel agent in the city and let them handle the legwork for you. A visa extension can take up to 10 days and during that time you will have to give up your passport. Since you need a passport to check into hotels, you will be stuck in one place while your passport is being processed. If you entered the country visa-free, you’ll need to get a Vietnam visa renewal. Again, check with a travel agent in one of Vietnam’s major cities to help you arrange this. Which countries are exempt from Vietnam visa? / Can I enter Vietnam without a visa? In certain circumstances, people with passports from certain European countries and ASEAN countries don’t need a visa to visit Vietnam. Check our section on the Vietnam visa exemption for details. Can I get a Vietnam visa on arrival? Most travellers can get a visa on arrival in Vietnam, as long as they arriving at one of Vietnam’s international airports. Note that you have to arrange an approval letter for a Vietnam visa ahead of time. See all the details in the section about visa on arrival above. How can I get a Vietnam visa? The easiest way to get a Vietnam visa is by using the visa on arrival service. See the section above for complete details on who can use the visa on arrival and what kind of trip it works for. In some circumstances, like if you’re travelling overland to Vietnam, the Vietnam e-visa is a better option. Absolutely. We have gotten our visa on arrival in Vietnam several times. Just be sure that you get your Vietnam visa approval letter from a well-established company and that you print your letter before you fly. Also, bring your visa fee in USD for the easiest service. What is the cost for a Vietnam visa? Currently, the cost of a 30-day or 90-day single entry Vietnam visa is $25 USD. The price of a 30-day or 90-day multiple entry Vietnam visa is $50. For visa on arrival, you will also need to pay a fee to get your visa approval letter. This will cost around $25 USD. If you’re getting a visa on arrival, the usual time for getting an approval letter online is 2–3 days. Many companies provide faster service for a higher fee if you urgently need a Vietnam visa. When you arrive at the airport, you may wait up to an hour to have your visa processed. For an e-Visa to Vietnam, the process is supposed to take three working days, but since the system is not perfect yet, leave more time for problems and application rejections. What is the photo size for a Vietnam visa? For a visa on arrival, your photo is supposed to be 4cm x 6cm. However, if you have photos that are the approximate size and shape, they are usually fine. For an online visa, upload a photo with 2:3 aspect ratio. Do You Need Travel Insurance for Vietnam? Of course you do! We never leave home without travel insurance. Though Vietnam is a relatively easy place to travel, you should still make sure to have good travel insurance. After five years of full-time travel, we have experienced first-hand how easily accidents or medical emergencies can happen. Hospital visits are stressful enough without the added worry of how you’re going to pay for them! We recommend World Nomads insurance which is flexible, reliable, and cost-effective. Now that you’ve got your visa for Vietnam, it’s time to start planning your trip. Also, don’t miss our vegan and vegetarian guides to Vietnam! 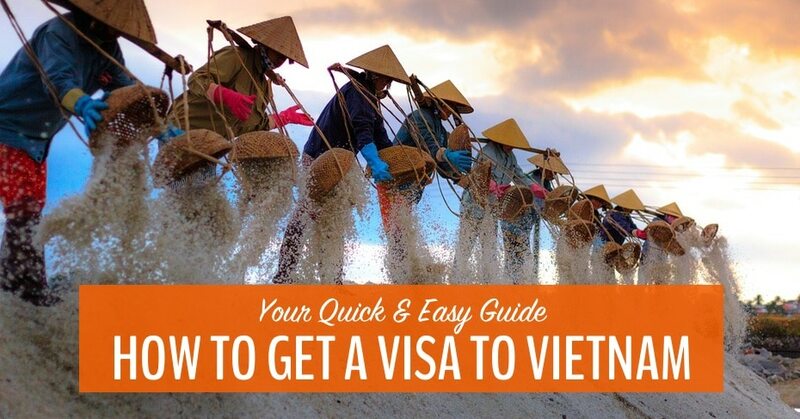 We hope you found this post about getting a visa for Vietnam helpful! If you did, please leave a quick comment below so we can feel good about ourselves ;). Also, if you have any questions, we’ll be happy to answer them. Please pin if you liked this! Please let me know why you think otherwise so I can make sure we have the right information up! Pingback: Vietnam or Cambodia? Here's your guide to choosing the best country for your next adventure | My Five Acres. Travel. Adventure. Yoga. Pingback: Vietnam Itinerary: How to Get the Most from 1–4 Weeks in Vietnam | My Five Acres. Travel. Adventure. Yoga. Pingback: Vietnam Adventure: How to Get the Most from Your Mindful Travels in Vietnam | My Five Acres. Travel. Adventure. Yoga. Welcome to Your Mindful Travel Guide to Vietnam! Thailand or Vietnam: Which is the Best Destination for Your Adventure? What’s it like to travel in winter in Vietnam? 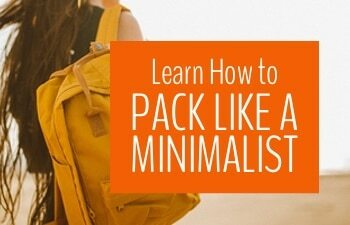 We share where to go and what to pack for a perfect trip. Should You Bother Visiting the Mui Ne Sand Dunes in Vietnam? Is solo travel in Vietnam right for you? Find out now! Get Your Vietnam Don’t-Miss List! Get our hand-picked list to all of our best Vietnam travel experiences... Take your trip to the next level!